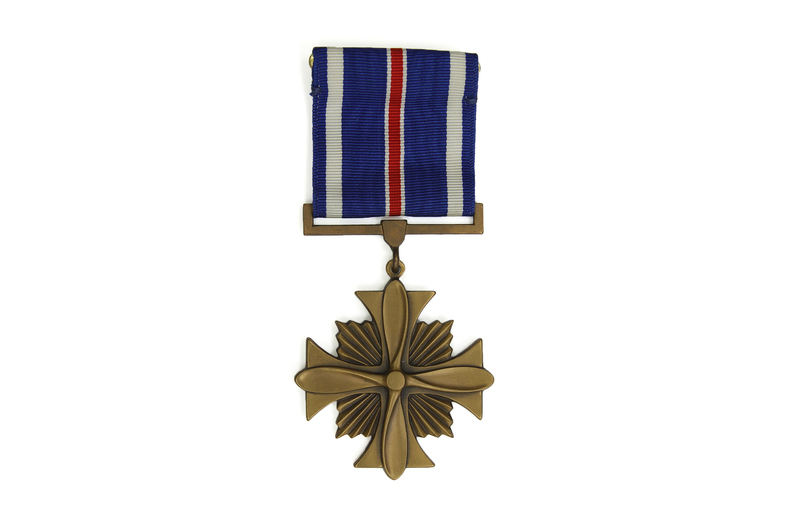 The Distinguished Flying Cross established in 1926 is America’s oldest military aviation award. 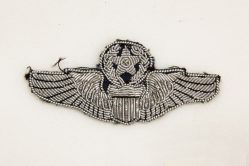 According to the Air Force Historical Research Agency, it is “awarded to any officer or enlisted person of the Armed Forces of the United States who shall have distinguished themselves in actual combat in support of operations by heroism or extraordinary achievement while participating in an aerial flight, subsequent to November 11, 1918. Col. Charles W. “IE” Hardie served in the U.S. Air Force from 1959 to 1989. 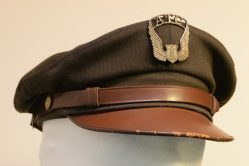 As a pilot he flew C-124, C-7, C-123, and C-141 aircraft for a total of 11,002 flying hours. He served at Cam Ranh Bay, South Vietnam, in 1969. 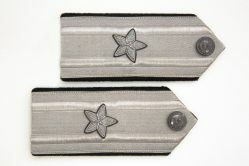 He was stationed at Dover AFB, Delaware, from 1980-1989. This Distinguished Flying Cross was awarded to him.